SpaceX are in final preparations ahead of the CRS-11 Falcon 9 launch to the International Space Station, delivering several thousand pounds of science and supplies aboard the Dragon cargo spacecraft to the orbital outpost. The Falcon 9 rocket is set to lift off from Cape Canaveral’s Launch Complex 39A on June 1st at 17:55 EDT (22:55 BST). If all is successful, the Dragon spacecraft will rendezvous and capture on Sunday morning. SpaceX will be expecting to land the first stage of the Falcon 9 back at Cape Canaveral shortly after launch, an event that is becoming increasingly routine. ​As with so many launches to the ISS, the cargo being delivered to the orbital outpost will provide the astronauts onboard with new supplies and scientific experiments. The unpressurised trunk of the spacecraft will be used to transport solar panels, tools for Earth observation, and equipment to study neutron stars. This launch marks the first ever re-use of a Dragon spacecraft, and the first time that a previously flown spacecraft will arrive at the ISS since the final flight of Space Shuttle Atlantis in July 2011. The Dragon used will be the one previously flown on the CRS-4 mission in 2014. SpaceX hope that by being able to re-use the cargo Dragon spacecraft on a regular basis, focus can be shifted to the production of the crewed variant of the Dragon, set to launch crew from American soil to the International Space Station from late 2018. 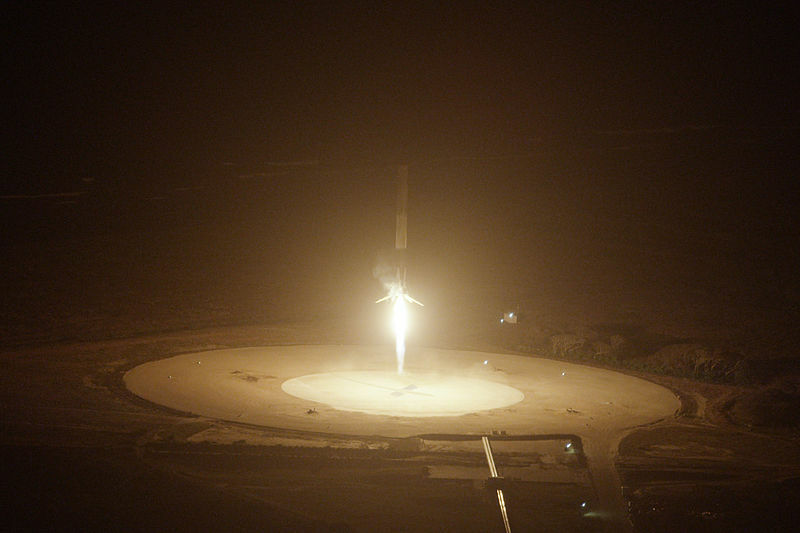 ​Ever since CRS-9, Dragon launches to the ISS have been opportunities to attempt to land the first stage of the Falcon 9 spacecraft back on land. If all goes to plan, roughly eight minutes after launch the 140 foot tall booster will touch down at Landing Zone 1, Cape Canaveral. So far all four landing attempts at LZ-1 have been a complete success, so SpaceX will be feeling extremely confident once again to nail the landing and have another core available for re-use in the potentially near future. Make sure to follow @CosmosRevealed and like our Facebook page! ​On Sunday, the Orbital ATK Cygnus cargo spacecraft arrived at the ISS following the launch on the Antares rocket last week. The spacecraft comes bearing gifts to the six astronauts onboard the spacecraft, including scientific investigations, food and supplies. The Cygnus OA-5 mission began with the flight of the first re-engined Antares rocket, lifting off in spectacular fashion on Monday, October 17th at 19:40 EDT from NASA’s Wallops Flight Facility on the Virginia coast. The Cyngus spacecraft was captured by the station’s robotic arm, controlled by Japanese astronaut Takuya Onishi, at 07:28 EDT on Sunday. Flight controllers then remotely controlled the arm to install Cygnus on the Unity module, where it will remain for around a month. A new life science facility called the Space Automated Bio Lab that’ll support studies on cell cultures, bacteria, and other micro-organisms. The Bevo-2 CubeSat, designed and built by engineering and computer science students at the University of Texas at Austin. Experiments that will study the behaviour of gases and liquids and clarify the thermo-physical properties of molten steel. 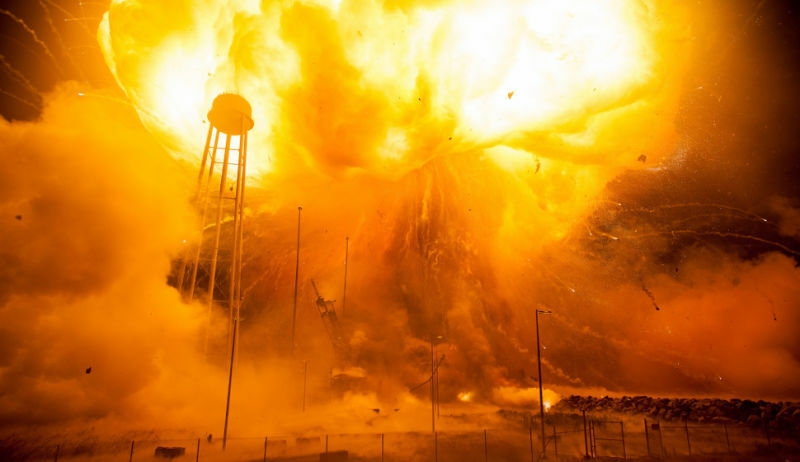 This was the first launch of the Antares rocket since its catastrophic failure in October 2014, where the Orb-3 Cygnus spacecraft came to an abrupt end to its mission just seconds after launch. The incident was investigated and it was concluded that the AJ26 first stage engines were to blame for the anomaly. The Antares rocket is now powered by two RD-181 first stage engines that immaculately thrusted the rocket and spacecraft upwards last Monday. The spacecraft is expected to spend five weeks attached to the space station, and will become the ‘trash can’ for astronauts onboard to throw away no longer needed supplies and gear. It will be undocked in November, and, following a few scientific experiments, will be commanded to perform a destructive re-entry in Earth’s atmosphere. The next launch of the Antares rocket is expected sometime in the first quarter of 2017, an event that is eagerly anticipated by all! The Blue Origin in-flight escape test took place on Wednesday and was a resounding success, with both the crew capsule and booster expertly landing back on Earth. The test proved that the capsule is able to escape the booster in-flight in the case of an emergency, a key requirement towards sending tourists to space. The flight, which took place over Blue Origin’s facilities in Texas was the fifth launch of the New Shepard booster. The reusable rocket is capable of reaching space on a suborbital trajectory, giving future passengers onboard the experience of weightlessness and some incredible views. Using a hover landing approach, the booster is capable of landing back on Earth for future reuse. There were concerns prior to launch that the force of an escaping capsule would cause the New Shepard booster to be knocked off trajectory, tumbling back to Earth in a fiery explosion. However, no such explosion occurred. Instead, after capsule separation, the booster remained upright, allowing for a successful flight to apogee and then back down to Earth for landing. ​Blue Origin was founded by Amazon CEO Jeff Bezos in September 2000. Although initially very quiet about their progress, in the last couple of years the company has begun showing off their progress. 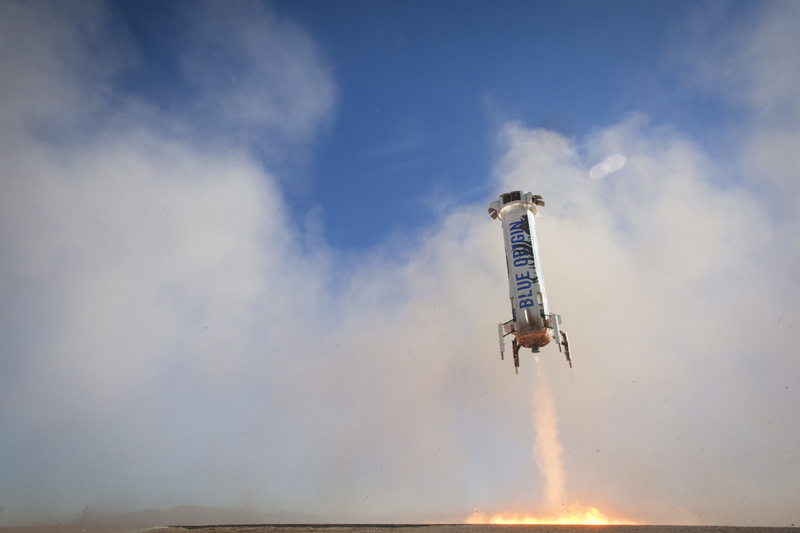 The New Shepard rocket first launched in April 2015, and achieved its first soft landing later that year in November. The first manned test flights are currently planned to take place in 2017, with space tourism flights potentially beginning as soon as 2018. Goodbye Yutu! The Chinese lunar rover has been declared dead following 31 months on the Moon. Yutu was part of the Chinese Chang’e-3 mission to the Moon, becoming the first spacecraft to soft-land on the Moon since the Soviet Union’s Luna 24 in 1976. It also made China the third country to take a giant leap and put a spacecraft on the Moon, after Russia and the USA. 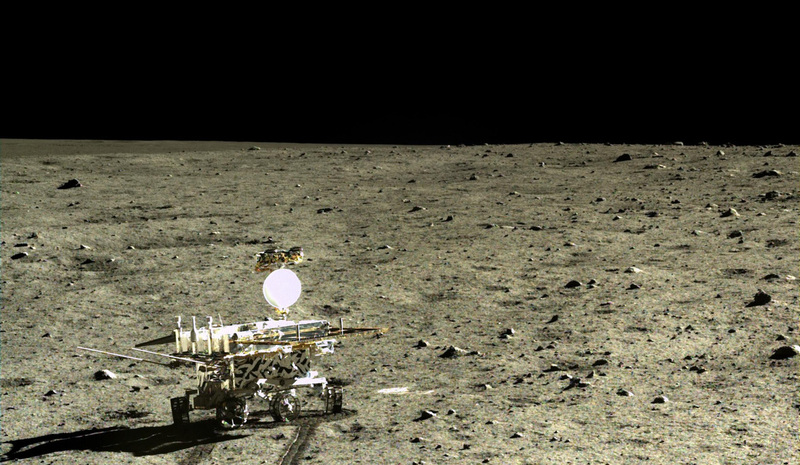 The data collected by Yutu has led to the creation of over 100 scientific papers about the Moon, one of the most notable being the discovery of a layer of lava flows beneath the surface. Although the initial expected lifetime of Yutu was just three months, it ended up operating for over two years. Despite being prematurely declared dead in early 2014, the rover managed to survive a cold two-week lunar night, but lost its ability to move around due to the “complicated lunar surface environment”. Most importantly, it achieved China’s key aims of the mission – soft-landing on the Moon and exploring the dusty surface of our nearest neighbour. ​The Chinese Space Agency had already made significant progress in low Earth orbit, including sending its first astronaut to space in 2003 and the operation of the Tiangong Space Station. For China, the Chang’e-3 mission was a major leap in their space exploration of places further afield. Next year, China hopes to land an unmanned spacecraft on the Moon once more, this time with the aim of returning samples to Earth for scientists to study. 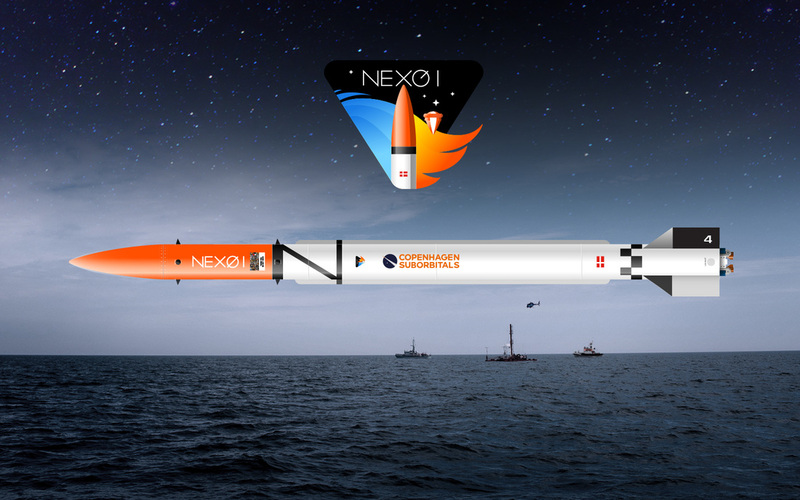 Saturday saw the debut launch of the Nexø I rocket, designed and built by the Copenhagen Suborbitals team. Despite an initially positive looking ascent, the 5.6 metre tall rocket lost power around 1500 metres up and fell back to Earth shortly after. Although no conclusive evidence has been produced as a cause for failure, in a statement released shortly after the event, tentative speculation pointed towards a simple LOX overload. Copenhagen Suborbitals are a crowdfunded amateur team with big ambitions. The members of the team all have day jobs, spending their spare time on building and launching rockets. Under the leadership of von Bengtson and Madsen, the group have flown four home built rockets and two mock-up capsules. The fifty-strong team aim to one day fly a human to space aboard their planned Spica launch vehicle. Such a feat would be a historic first in amateur rocketry. Despite this setback, it is clear to see that the rocket itself performed well initially and many positives can be taken out of the mission. The data collected will fuel improvements to the rocket before Copenhagen Suborbitals launch again, and ensure that the planned human-rated Spica rocket will have the highest safety levels possible. The Falcon 9 rocket will blast off from SLC-40 on July 18 carrying the Dragon spacecraft to the International Space Station. The launch will be the ninth in the Commercial Resupply Services contract, and will deliver essential supplies, equipment and experiments to the orbital outpost. The Falcon 9 is also set to attempt a land landing on LZ-1, which SpaceX hope will be successful following failure on the barge last time out. SpaceX are currently targeting a launch date of July 18 from Launch Complex 40 at Cape Canaveral, with lift off expected at 00:45 ET (05:45 BST). Upon launch the nine Merlin 1D engines will ignite, lifting the 500,000 kg rocket away from the launchpad. The first stage of flight is expected to last 180 seconds, ending with stage separation. The single Merlin 1D-Vac engine will then ignite, putting the spacecraft into a low Earth orbit. This orbit will allow for a rendezvous and berthing with the ISS two days later. For the second time ever we will see a landing attempt at Landing Zone 1 at Cape Canaveral. As the launch is to low Earth orbit, the Falcon 9 first stage has enough fuel to perform a land landing. Currently SpaceX has an 100% success rate at land landings, having landed the Orbcomm-2 Falcon 9 core at LZ-1 in December of last year, SpaceX’s first ever landing of any kind. Since then SpaceX has landed on the barge several times and has gained experience in core retrieval. Musk has said that he hopes to reuse a core later this year for a commercial customer. ​The Dragon spacecraft will be filled with just under five-thousand pounds of supplies and scientific payloads set for the ISS. The new experiments arriving to the orbital laboratory will test the capabilities for sequencing DNA in space, spacecraft temperature regulation, understanding bone loss in space, and how the heart is affected by microgravity. 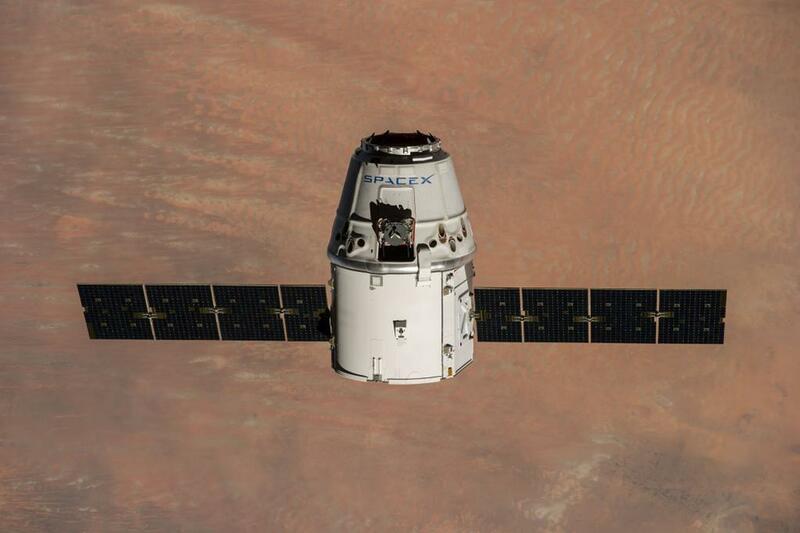 The Dragon will also carry in its trunk the first of two International Docking Adapters to enable future commercial crew vehicles, such as SpaceX’s Crewed Dragon, to dock to the station. The Commercial Resupply Services contract was awarded by NASA in 2008. The contract asked for twelve cargo transport missions to the ISS to be completed by SpaceX. After proving themselves worthy with COTS-1 and COTS-2 demo flights, NASA announced that SpaceX were now certified to begin transporting useful cargo to the ISS. Due to a reliable launch vehicle and stringent testing, SpaceX have so far managed to complete seven successful flights to the ISS, and there are many more to come! Unlike Orbital Science’s Cygnus, which also received flights in the CRS contract, the Dragon spacecraft has the ability to bring back cargo through a controlled descent and landing in the Pacific. This enables scientific experiments to be returned to Earth for full scale analysis. Following the successful static fire test on Saturday, the rocket is set for launch in the early hours of Monday. If you aren’t able to watch it live, make sure to follow @CosmosRevealed for live text updates throughout the launch! Following two days orbiting Earth, the Soyuz spacecraft carrying astronauts Rubins, Onishi and Ivanishin arrived at the International Space Station. The trio oversaw a straight-forward docking in the early hours of Saturday as the automated docking system expertly guided the Soyuz spacecraft in. Shortly after sunrise at the Baikonur Cosmodrome in Kazakhstan, astronauts Katie Rubins, Anatoly Ivanishin and Tayuka Onishi blasted off to the International Space Station aboard the Russian Soyuz rocket. The ascent was as smooth as could be imagined, and the spacecraft was separated in a stable orbit less than nine minutes after liftoff. From there, the crew spent two days in orbit catching up to the ISS and testing systems aboard the newly upgraded Soyuz spacecraft. Upon arrival at the Space Station, the capsule manoeuvred its way to the docking port using its upgraded Kurs system and docked successfully. 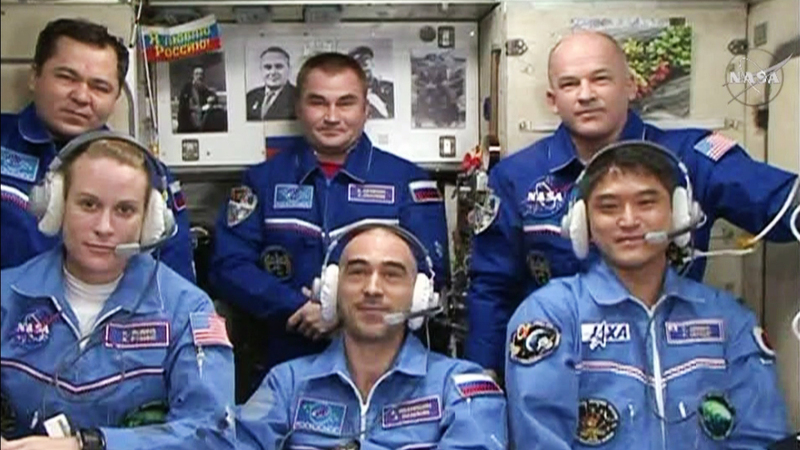 Upon opening the hatch, Expedition 47 crew members Williams, Ovchinin and Skripochka were there to greet them into their new home for the next few months. The trio will stay in space for roughly four months, working on scientific research and essential station servicing throughout their stay above Earth. The crew will help install the station’s first international docking adapter set to be launched in the trunk of SpaceX’s Dragon spacecraft in July. The spacecraft will also carry various new scientific experiments which the crew will help carry out. These investigations will cover bone loss, DNA sequencing in space, temperature regulation in spacecraft, and much, much more. 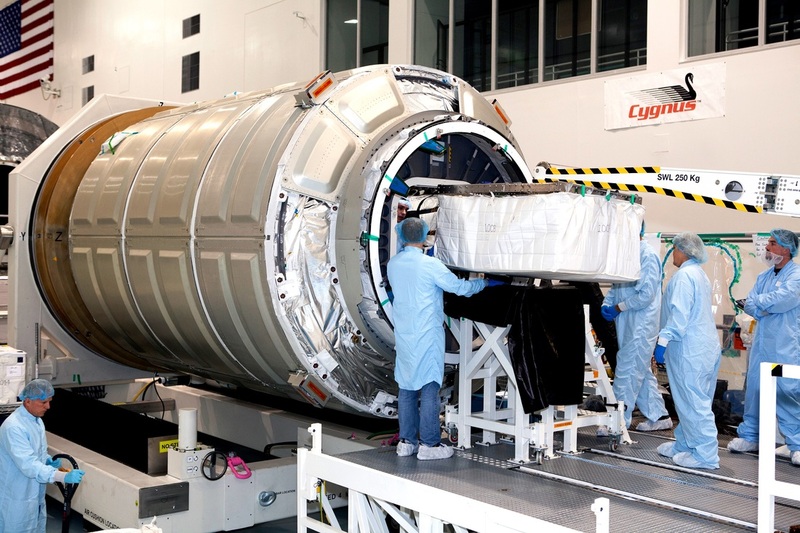 Additionally, the crew will also help unload Orbital ATK’s Cygnus spacecraft and the Russian Progress resupply vehicle during their time aboard the Station. The next launch to the ISS is the aforementioned SpaceX CRS-9 resupply mission. The Falcon 9 is set to liftoff on July 18 and the launch will of course be covered live at @CosmosRevealed! 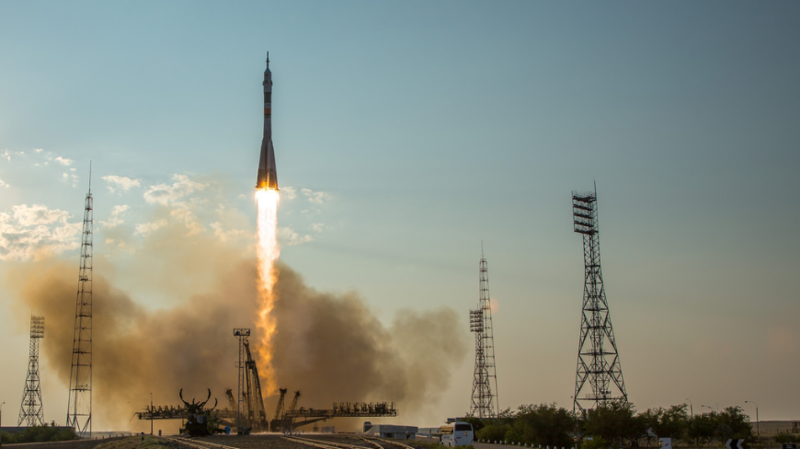 Shortly after sunrise at the Baikonur Cosmodrome in Kazakhstan, astronauts Katie Rubins, Anatoly Ivanishin and Tayuka Onishi blasted off to the International Space Station aboard the Russian Soyuz rocket. The new crew, collectively called Expedition 48, are expected to arrival at the orbital outpost on Saturday, July 9 at 00:12 EDT following two days in orbit. At 07:36 in the morning in Kazakhstan the Soyuz rocket lifted from the launchpad and headed skywards. The flight went off without a hitch, with the Soyuz spacecraft delivered to a stable orbit shortly after liftoff. The flight marked the first launch of the MS series of the Soyuz capsule, bringing new capabilities to the communication and navigation subsystems of the spacecraft, increasing the safety of the astronauts aboard and ensuring easier access to space. 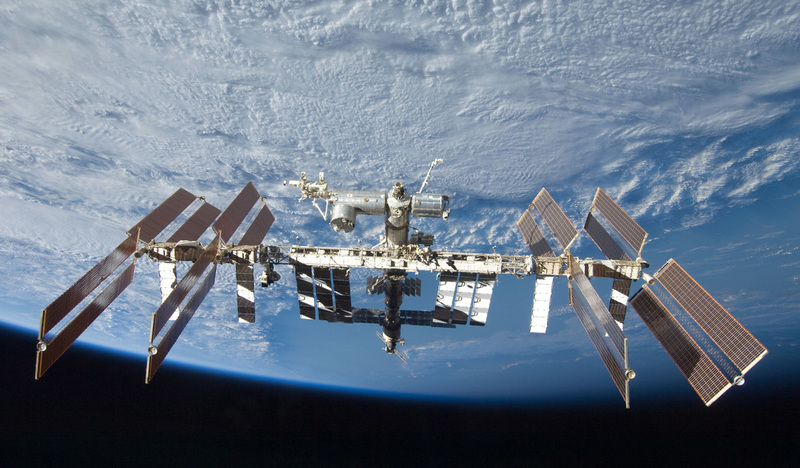 The crew will now spend two days in orbit as the spacecraft chases the ISS. This is longer than the usual six hours since Roscosmos scientists and engineers back on Earth wish to spend an extended period testing the Soyuz’s new systems introduced in the MS series. The next launch to the ISS is the aforementioned SpaceX CRS-9 resupply mission. The Falcon 9 is set to liftoff on July 18 and of course will be covered live at @CosmosRevealed! 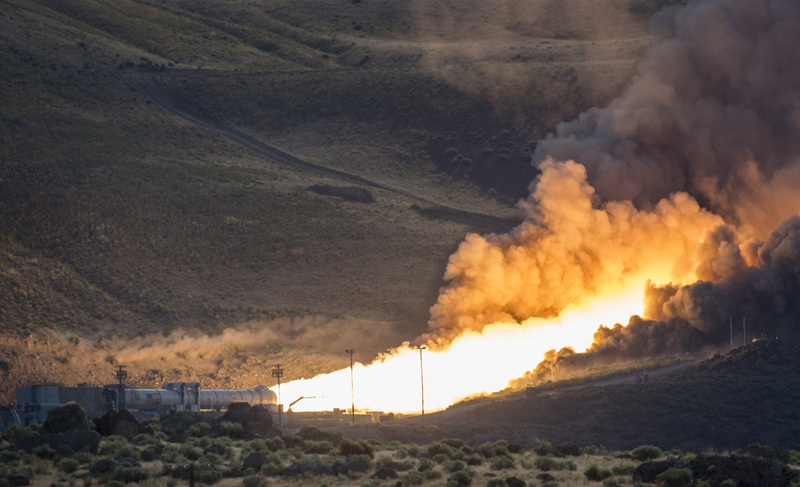 NASA ignited the flames of the SLS booster on June 28 in the second and final test of the booster. The test, referred to as QM-2, took place at 11:05 EDT (16:05 BST) deep in the Utah desert at Orbital ATK test facilities. Upon reaching T-0, the booster, strapped to the test pad and held in place, was ignited and fired for two full minutes. Throughout the duration of the test over 500 sensors collected data on the booster’s performance. This was not the first time NASA has tested an SLS booster. The first qualification motor test, QM-1, took place in March 2015. The test focused on the highest temperature that the booster’s propellant can be, heating it up to 90 degrees Fahrenheit in anticipation of warm Floridian weather for when SLS takes flight. This test used the opposite end of the temperature scale. Cooled to 40 degrees Fahrenheit, the booster’s propellant was pushed towards its lower limits in order to collect valuable data ahead of the SLS’ debut in 2018. 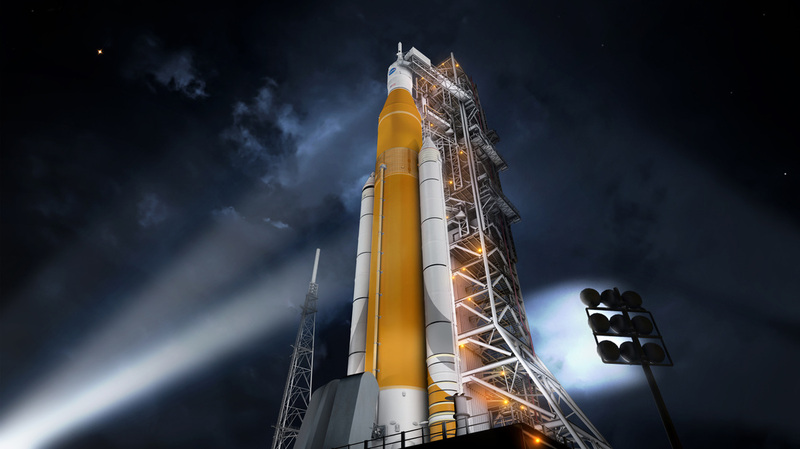 ​The Space Launch System, often abbreviated to SLS, is set to become the world’s most powerful rocket following its debut in just a couple of years’ time. The heavy-lift launch vehicle will enable new scientific capabilities for NASA and play a key role in the journey to Mars. The boosters provide the necessary thrust to give the SLS an extra boost from the launchpad, with each booster producing 3.6 million pounds of maximum thrust. The rocket will have two boosters, one on either side of the main body. The boosters remain attached to the rocket for two minutes, after which they are jettisoned from the rocket and fall into the Atlantic Ocean.